The first time Israa arrived at the Salam Centre on a wheelchair pushed by her brother, she was dying. She had undergone an endless prognosis process and many treatments before arriving at our hospital, yet her pathology hadn’t been diagnosed: Tetralogy of Fallot. In order to be treated, Israa needed emergency surgery. When cardiac surgeon Juha asked her consent to operate, she answered: “If you save my heart, I’ll do everything I can to walk out of here on my own two feet”. After post-operative complications, Israa was forced to spend a month in ICU isolation, but she made it: she managed to walk out of the hospital on her own, regaining her smile and joy in life. 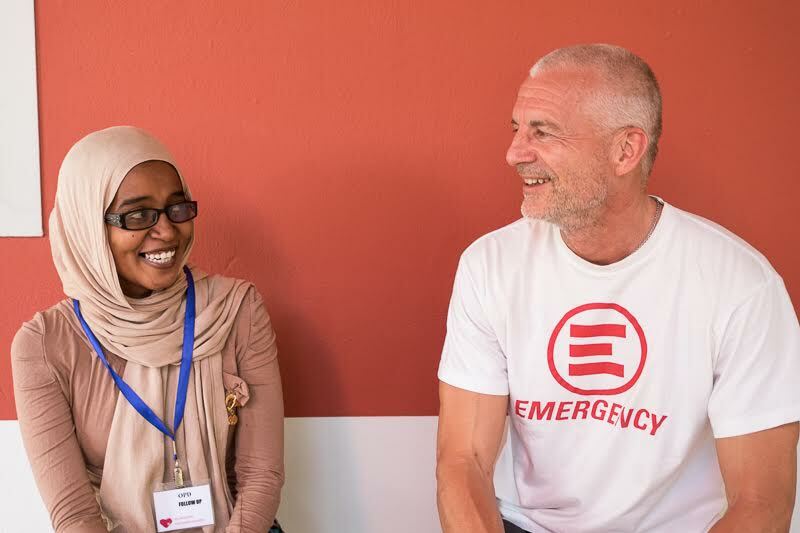 Every time she goes back to the Centre for check-ups, Israa is ready to wait, sometimes for hours, to meet Juha, the surgeon who saved her life and who cries every time he sees her. This is what keeping a promise means.